The SP SportMaxx TT benefits from DuPont™ Kevlar® technology to bring performance to a higher level. This tough compound creates a stiffer sidewall, leading to improved driving precision. Dunlop Touch Technology ensures high levels of responsiveness and road feedback. The tread design of the SportMaxx TT manages the pressure across the tyre more effectively, improving handling performance on wet and dry. Smooth transitions from straight to curve give you more time to feel the road and react, even at high speeds. Stiff shoulder blocks add extra stability when cornering. 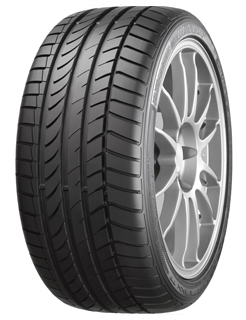 Enjoy superior grip and shorter braking on wet and dry, thanks to a unique tread compound containing motorsports derived nanoparticles. The asymmetric groove arrangement enhances grip further, giving you more control at motorway speeds.